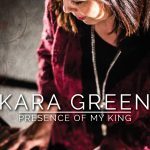 The song ‘Presence of My King‘ is a song about the joy and rest found only in the presence of Jesus. So many times in my life I have faced struggles and fear. But, in the presence of Jesus I have found a shelter, a place of rest, a peace beyond my understanding. If your heart is broken, run to the presence of Jesus. If you are sick, run to the presence of Jesus. If you are depressed, run to the presence of Jesus. If you are worried, run to the presence of King Jesus. He is waiting for you. Healing, restoration, joy, freedom, and victory are found in His presence! Psalm 16:11 You will make known to me the path of life; In Your presence is fullness of joy; In Your right hand there are pleasures forever. Fear leaves in the presence of God. His perfect love casts out fear. 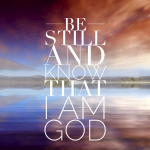 Whatever you are facing, God has the answer. He is our comfort. He will hide you in the shelter of His wings. Psalm 91:1 He who dwells in the secret place of the Most High shall remain stable and fixed under the shadow of the Almighty. I encourage you today to get into the presence of God. Listen to worship music and begin to sing and worship the Lord. 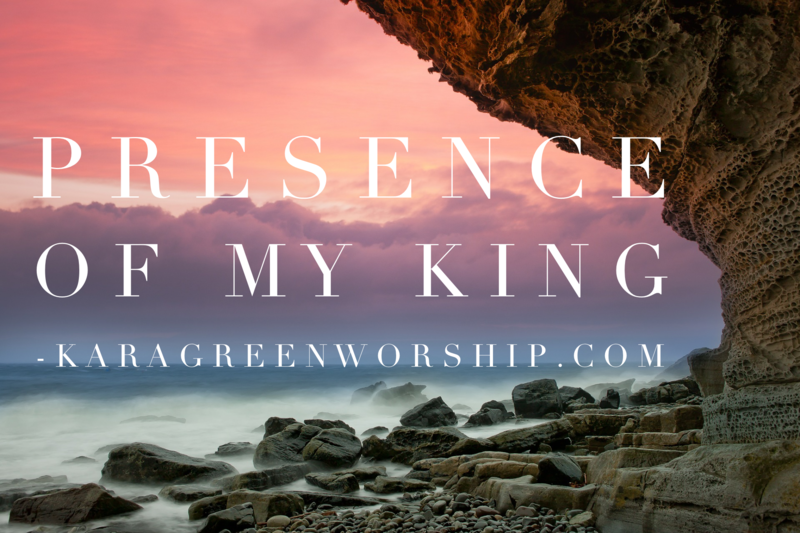 You will find rest in the presence of the King. “Come rest in my presence. I’m waiting for you. My beautiful child find peace and restoration for your soul. I will renew your strength here in my presence. I was praying this morning and got a word from the Lord that I want to share with you! I’ve had some things happen that were disappointing. I felt like the Lord was telling me to read 2 Chronicles 20 again this morning. This time when I read it, I realized that God used the attack of the enemy to move His people into a prosperous place! They collected the spoils for 3 days!!! 2 Chronicles 20:25 When Jehoshaphat and his people came to take the spoil, they found among them much cattle, goods, garments, and precious things which they took for themselves, more than they could carry away, so much they were three days in gathering the spoil. I believe that God is going to use disappointing circumstances to ‘spin’ us into a new place of prosperity! 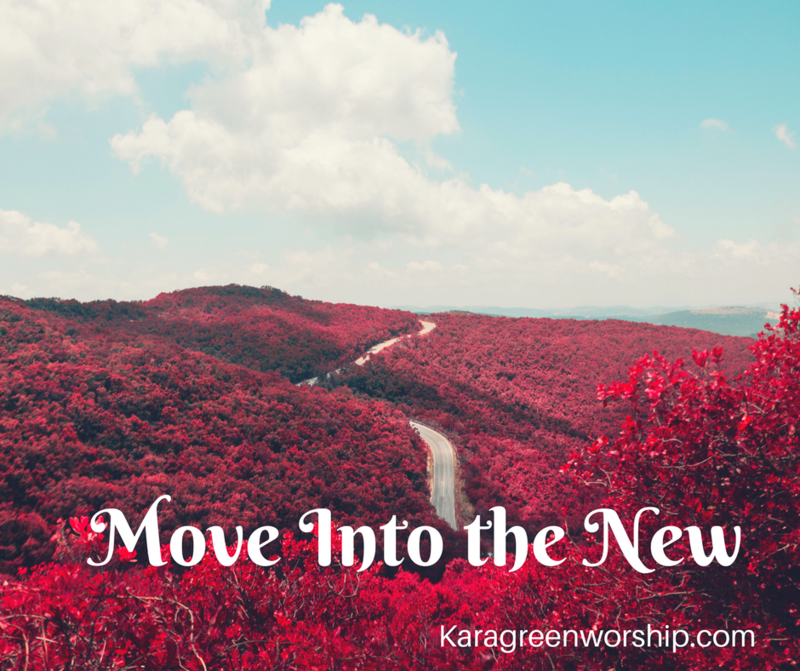 A new level of His goodness and glory! As we pray and listen to God’s instructions, He will turn our situation around. Listen to His voice. Receive it today. Isaiah 43:19 For I am about to do something new. See, I have already begun! Do you not see it? I will make a pathway through the wilderness. I will create rivers in the dry wasteland. Expect God to do a new thing in the midst of your situation! If this word speaks to you, please leave a comment. This verse is one of the foundations of my life as a Christian. The times I try to handle things on my own and figure them out, I feel stressed and worried, and I don’t have any peace.When I purposely focus on giving all my fears and concerns to God, I feel His strength and comfort. I give it to God through prayer, worship, and declaring His word. I will never face any situation or circumstance alone. God is always with me! We can stand on God’s word! He is faithful. He will not fail! When I need confidence to do something new, I declare this verse. 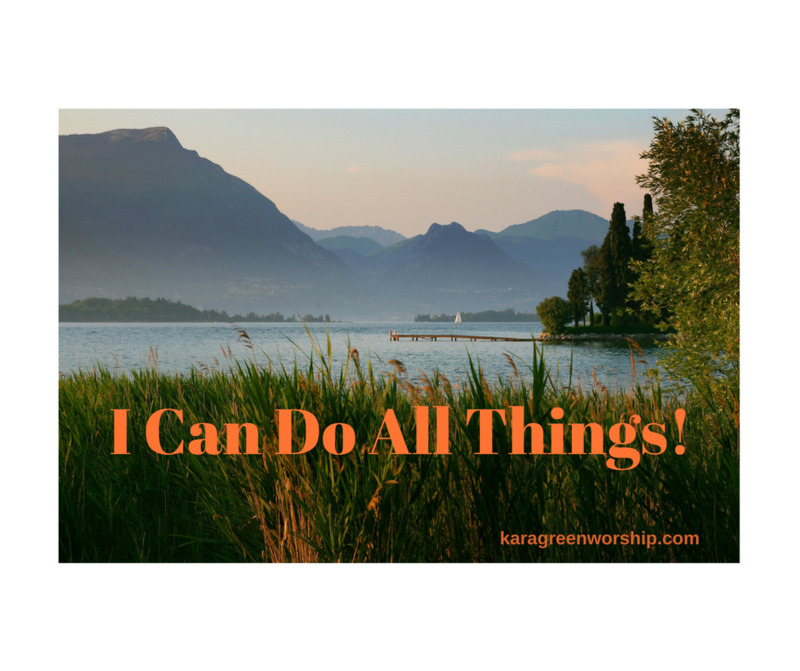 Yes, I can do All things through Christ who strengthens me. Psalm 121:1-2 I will lift up my eyes to the hills, from where does my help come from? My help comes from the Lord, who made heaven and earth. 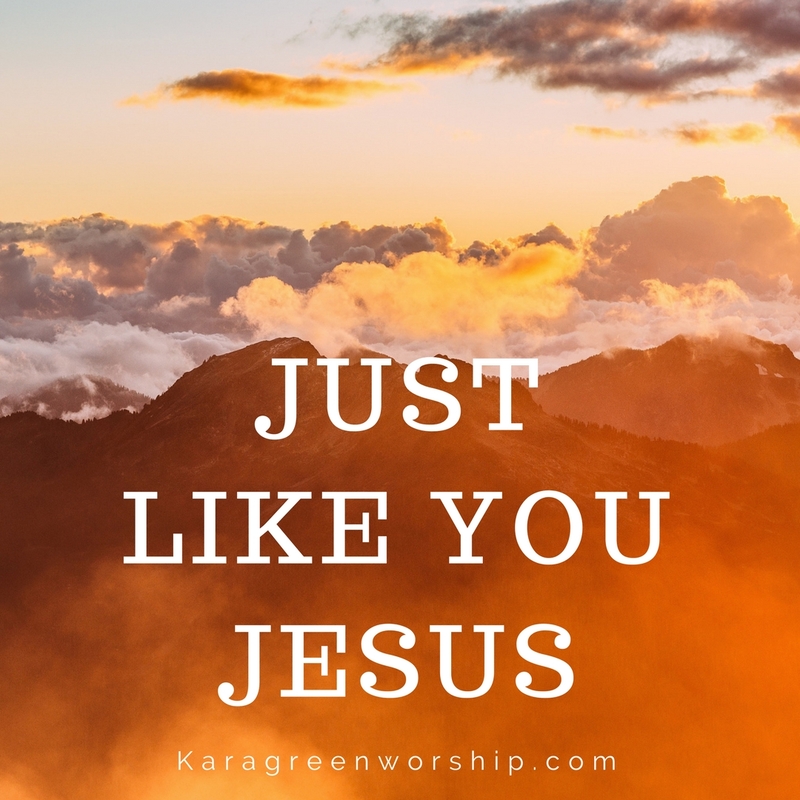 I just want to encourage you today that whether you’re starting a new job, dealing with an illness, facing a tough parenting situation, working on your marriage, or struggling financially; whatever the circumstance may be, you are able to do all things through Christ. He is your help. The maker of heaven and earth is your Father and He loves and cares for you. Give it all to Jesus. Surrender to Him. He will strengthen you. “Father, I give my situation to You. I am not able to do this in my own strength. I need Your power and strength to rise up within me right now. I take every negative thought captive in Jesus name, and I declare that I can do all things through You, Jesus Christ, who strengthens me. Take control of this situation Lord. You are Lord of all. I feel your power and presence right now. Be with me and remind me of your love for me. I give all my worries to you. I rest in Your strength and I know You are working all things for my good because I love you and You love me. I will be confident and see victory in this situation. In Jesus name, Amen! 2 Corinthians 12:9 He said to me, “My grace is sufficient for you, for my power is made perfect in weakness.” Therefore I will boast all the more gladly of my weaknesses, so that the power of Christ may rest upon me. 12:10 For the sake of Christ, then, I am content with weaknesses, insults, hardships, persecutions, and calamities. For when I am weak, then I am strong. Does this word speak to you? If so, please leave a comment below. I have been hearing the word ‘Yes’ in my time with the Lord. I believe God is saying yes to the plans He has for me. He is saying yes to the thoughts, hopes, and desires for pursuing His plans for my life. God is saying yes to you today! Yes to taking a step of faith toward the plans He has for you! It could be a goal you have, a change you want to make in your life, or a dream that God has put in your heart. Now is the time to move toward those things. I went back to school to finish my degree in 2012. At the end of 2011 I had started thinking about the dream of finishing my degree and I knew I would regret it if I never finished. I wrote the things I needed to do to start back to school. I talked to my husband and to my closest friend about my plans. I graduated in 2014! I am so thankful that I decided to pursue that plan. I have always dreamed of recording the songs that God has given me. Over the past 3 years I have written so many songs that I have started to feel like I just had to do something with them. 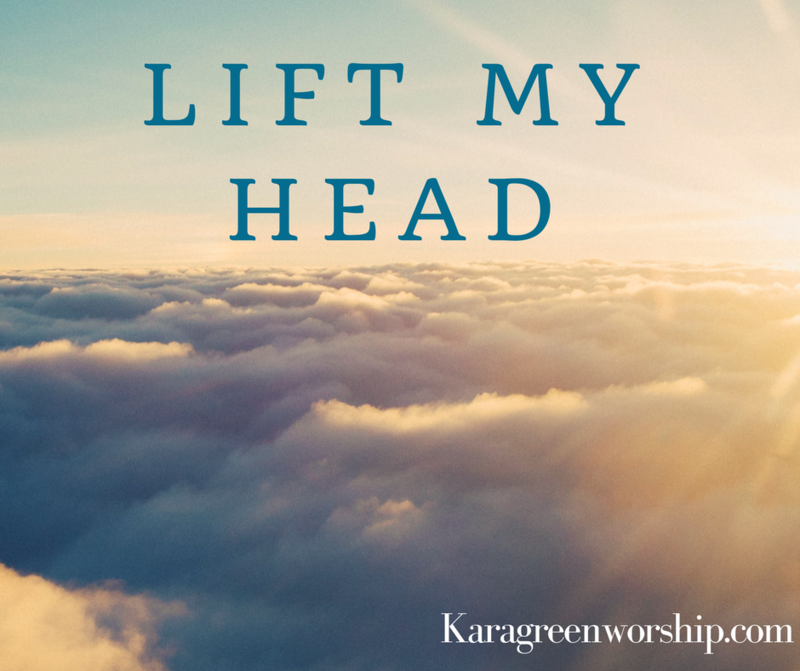 I believe that God spoke to me about recording a worship album, and now is the time to do it! After encouragement from some close friends, I decided to write out the steps I needed to take to make this happen. I felt so different after writing it out! That was the end of May of this year! 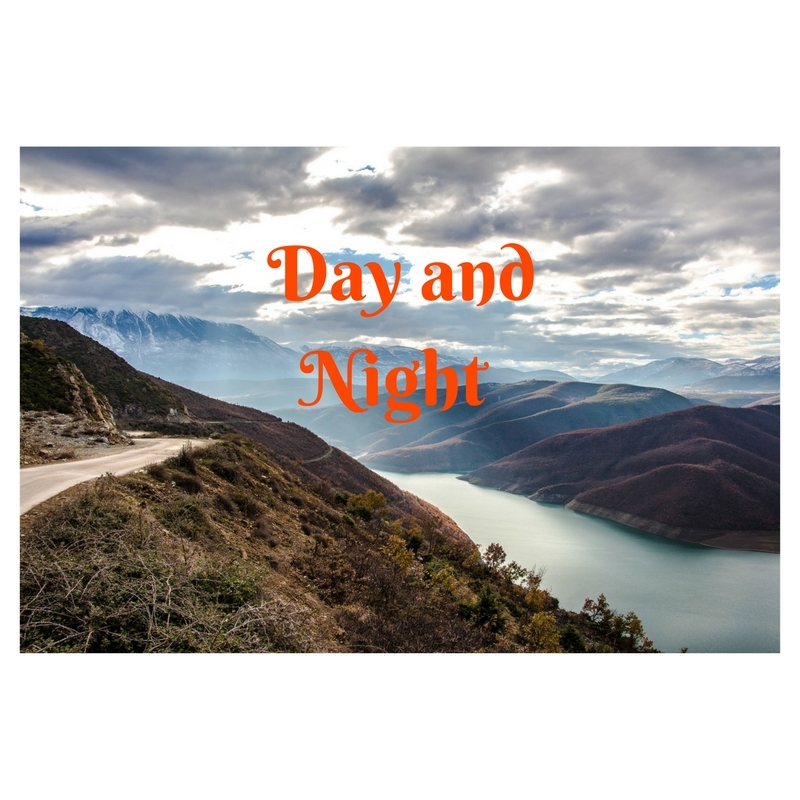 Now I am in the middle of my first worship album! God moved for me once I took steps to pursue His plans! I encourage you to listen to the ‘Yes’ that God is speaking over your plans and dreams. Go for it! Yes! He cares about every detail our lives. He wants to bless us and fulfill every promise in His word. Believe it! God wants to bless you with good things! God desires to bless us and fulfill the promises He has given. 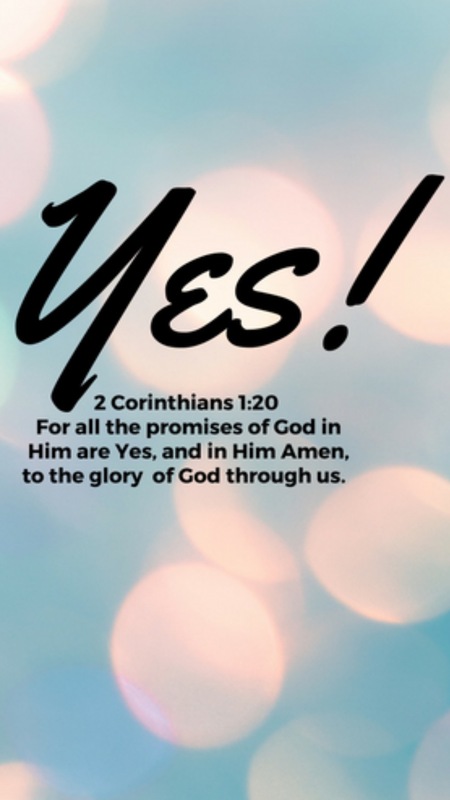 Say Yes to His promise for your life! I have been hearing the word ‘hope’ in my spirit. Hope is a powerful word! Hope is to trust in, wait for, look for, or desire something or someone. To expect something good in the future. I believe that God wants us to have hope that good things are coming to us. He is the God of hope! No matter what you’re going through, you can have hope. Hope that there will be a breakthrough in your situation, an ending to a hard season, hope in the things God has in store for those who love Him. Even in death we have hope if we are believers and followers of Jesus Christ. The hope of Heaven; where there will be no sickness or sorrow . We will be in God’s presence forever! What God has prepared for us is beyond what our minds can understand or imagine! That is something wonderful to hope in! Believe the promises of God for your life! Declare His word and the scriptures that He has given you. He is faithful! I choose to hope in God! He never fails!! 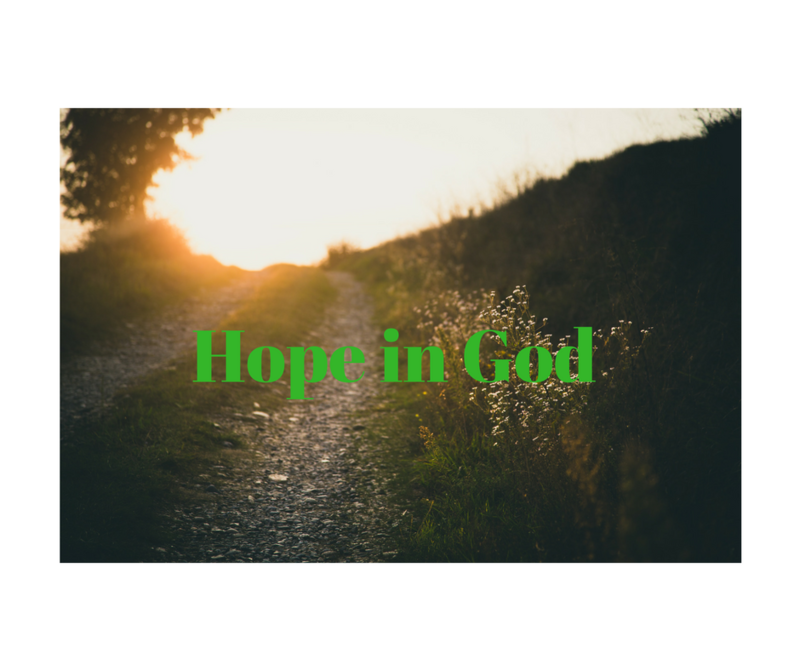 Hope in God today! Believe that He has good things in store for you here in this life and in Heaven! We can be confident in His promises! Ask the God of hope to fill you with all joy and peace in believing so that you will have hope and overflow with confidence in His promises for your life! Does this word speak to your heart? Please leave a comment below. God wants to do a new thing in your life because He loves you! I heard the Lord say this to me. My love never fails. It holds you and lifts you up. Draw closer to me. Receive my love; more of my love. Rest in my love for you. Behold I do a new thing. Shall you not know it? I make a path in the wilderness and springs in the desert. Watch and see what I’m doing NOW! Believe for the new thing in your life. God will do it! Does this word speak to your heart today? Please leave a comment below if so!